Costa Rica is a beautiful place, and Zoo Ave is one of the attractions you can visit there. It is comprised of 34 acres, and it is located at La Garita de Alajuela. Out of 45 things to do in Alajuela, it is ranked #2. Zoo Ave is an animal rescue center, and the animals there get to live in their natural habitat. Have you ever seen a scarlet macaw before? You will get to see all kinds of wildlife in Costa Rica. Mostly, Zoo Ave houses birds, but it is also a rescue center for reptiles and mammals. Since you are visiting a rescue center, you would see some new animals each time you visit. Not only do you get to see animals, but there is much more to do there, too. You can enjoy the zip line, and the property itself is also beautiful to enjoy. Remember, the property is on 34 acres, so there is quite a lot of exploring to do. As for transportation to the property, you can take the bus. That makes it easy to get to Zoo Ave and enjoy everything offered there. It is said to definitely be a place that the kids enjoy, too. Not only that, but it is very educational. Plus, reviews point to the fact that Zoo Ave in Costa Rica is also well maintained. Out of all the places in Latin America, Zoo Ave has the biggest collection of bird species. That’s pretty impressive, don’t you think? Pictures of the place are lovely, and you can’t miss the entrance. There is a giant statue of a bird on top of the sign that greets you when you arrive. A nonprofit organization runs the place. It is really interesting reading about the history of Zoo Ave, too. For example, when it was first started, there were just 50 animals. Imagine how many there are now. You are certainly about to find out, that’s for sure. If you happen to live in the area, it would be a great place to frequent. Remember, there is going to be new wildlife each time. Plus, it’s a great way to help support the local wildlife. It is one of the finest animal sanctuaries in Costa Rica and all of Latin America. There are all kinds of places you can visit in Costa Rica to get to see native wildlife. So for this place to be talked up like it is, that’s really something. 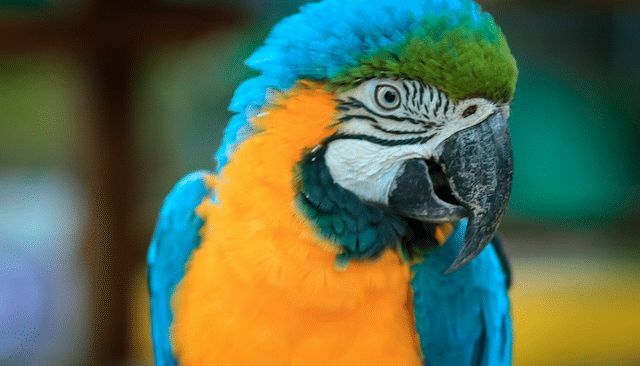 Think about all of the beautiful and exotic birds and other animals that you’re going to see. The statue of the bird at the entrance will give you a great idea of what’s in store for you. The land where this animal sanctuary is located now used to be a sugar cane and coffee plantation. It is said that many times throughout the years, people made plans to expand the animal sanctuary, but it didn’t happen until the 1990s. The reptiles were brought on board in 1999, and who knows what all will be a part of the animal sanctuary in the future. Perhaps you have visited Zoo Ave in Costa Rica a long time ago, and now you get to go back. Can you imagine what it’s going to look like now? It is such a beautiful and well-maintained place, and you will enjoy every minute you are there. Just imagine how many animals you will see, perhaps many species that you have never laid eyes on before. It might be the best part of your entire vacation in Costa Rica. It will certainly be a highlight of your trip, and you better take plenty of pictures. It will be great to hear the stories of some of the rescued animals. You can imagine that the staff there has quite a lot of information about the animals and the mission of Zoo Ave. It is said in the reviews as mentioned to be a very educational place of interest. Learning and having fun at the same time sounds like a plan, don’t you think? It will be an enjoyable visit to Zoo Ave, one of the best animal sanctuaries. Perhaps you can visit another animal sanctuary or two while you are there. 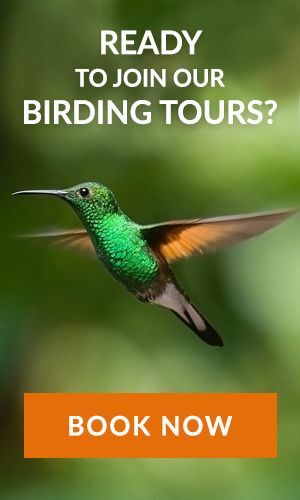 If you are planning to visit Costa Rica in your next holiday, check out our website Costa Rica Focus for best tour packages. Costa Rica is a host to the most popular attractions for international travelers. Explore the Cahuita National Park while you are on a trip to Costa Rica.